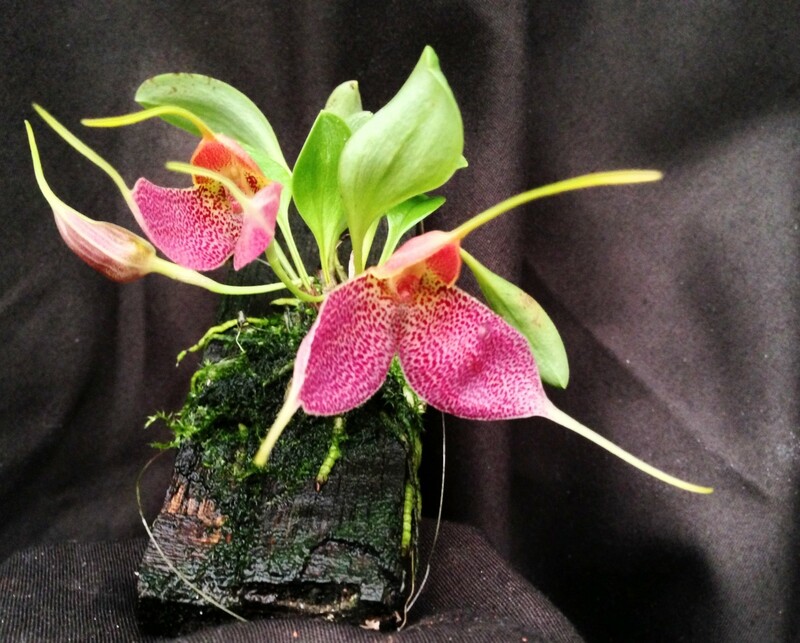 Discussion in 'Orchid Species' started by DPfarr, Nov 29, 2013. I love this little plant. I substitute it as the Lepanthes telipoganiflora I'll never be able to grow. The foliage to flower size is outstanding. I bought this from Marni a few summers ago. That is a beautiful plant! Thank you for not only sharing the blooms, but providing a picture of the entire plant. Very Nice. Interesting substitute lol somehow I don't think it will woo me in quite the same way, but it is a spectacular masdie to grow. Yours looks much Brighter than mine, its more deep burgundy .